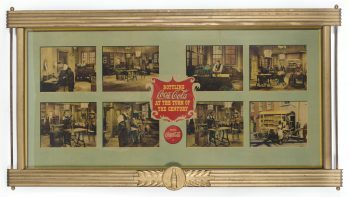 Rare Cardboad Coca-Cola "Bottling at The Turn of the Century" Sign in period Coca-Cola Wood Frame. These were supposedly given to bottlers as display pieces, to our knowledge this piece is the only known example. 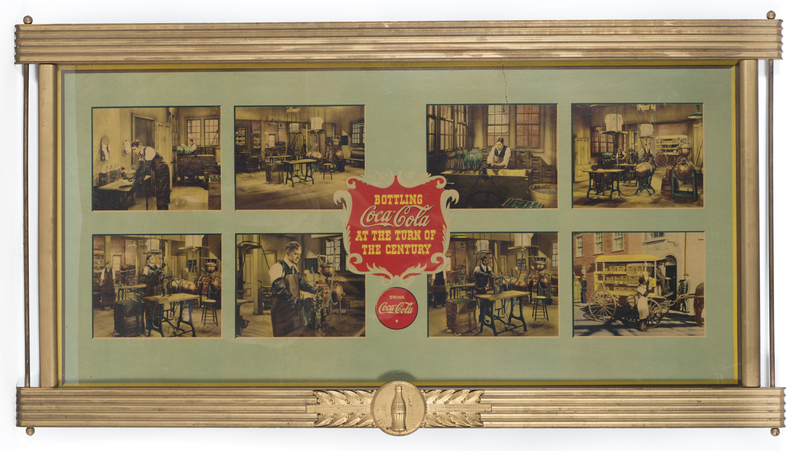 The sign features 8 vignettes of the Coca-Cola Bottling Process around 1900. Cardboard sign has a tear about 3/4 of the way across the top and another small one at the bottom right. Cardboard sign measures approx. 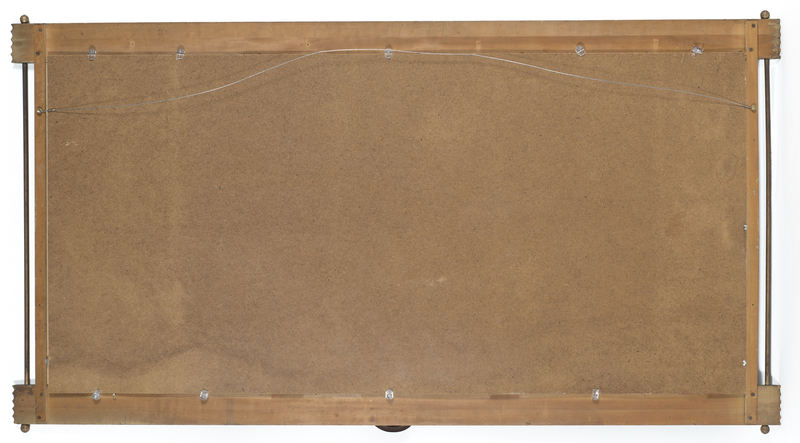 57" x 27" and frame measures approx. 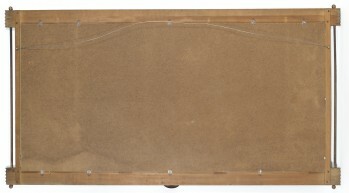 63" x 24"